In addition to providing our campers with days filled with activities, sports and games, we also try to impart lessons in positive values to our campers. One of the ways we do this is through “North Shore Cares” Day! 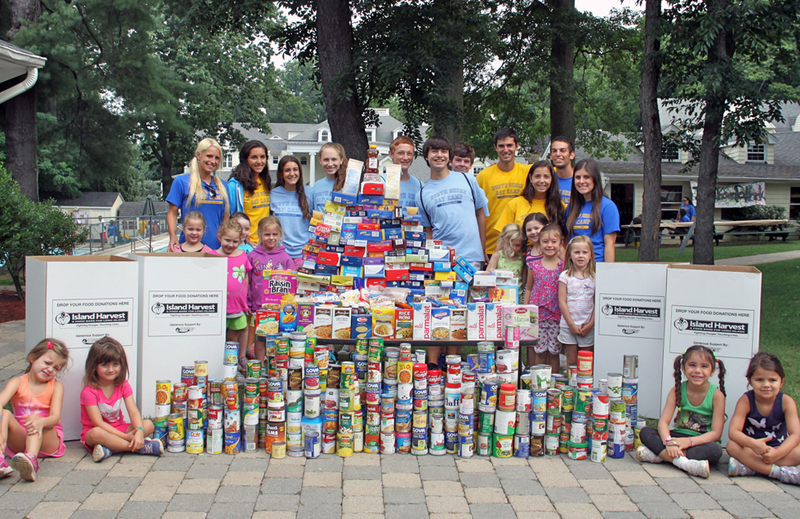 Campers and staff arrived at camp with tons of donated canned goods, all going to Island Harvest – Long Island’s largest hunger relief organization. We are so glad that our campers know that their efforts are going to a very worthy cause. Teaching our campers about being charitable is also about teaching empathy. They are very proud about their giving and we are very proud of them too! It always feels great to give back and we are so proud of how generous everyone was! Thanks to all for making North Shore Cares Day such a huge success! A special thank you to all of our North Shore Day Camp families who entrust us with their children each day. Together, we know we are all making a difference through North Shore Cares Day!